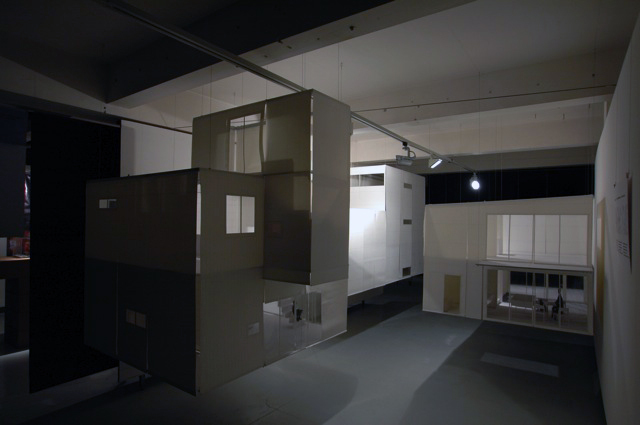 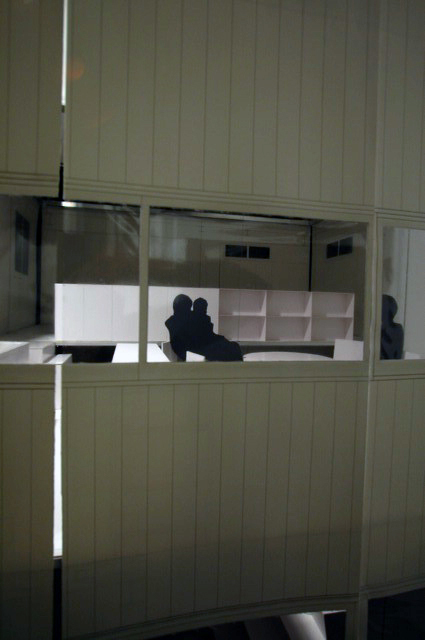 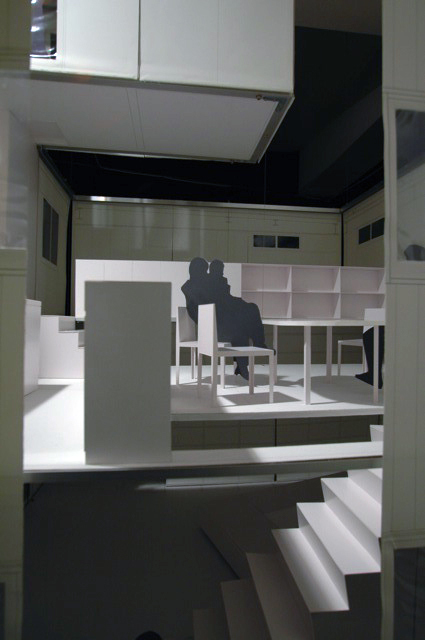 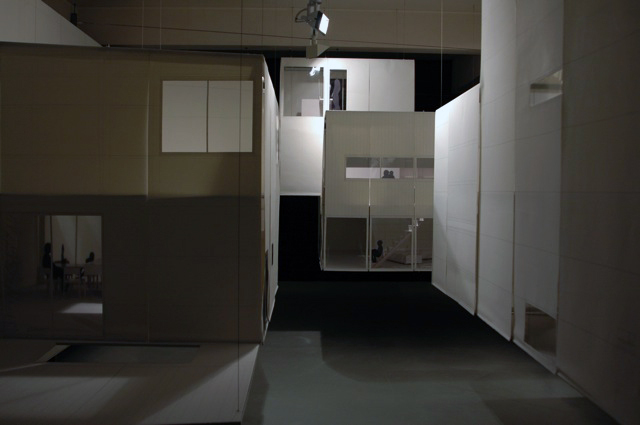 The Archilab 2006 exhibition held in Orleans in France, was based on the theme of “Nested in the city.” Three house models at a scale of 1:5, “House in Kagurazaka,” “House in Utsukushigaoka,” and “House in Uehara,” with outer walls of fabric and windows of vinyl sheet, were specially conceived and hung from the ceiling with wires. 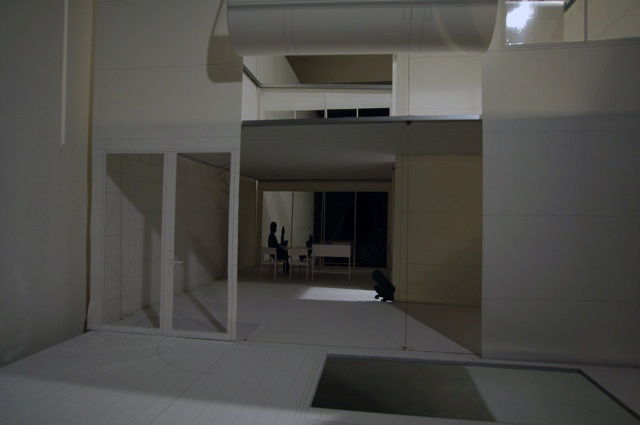 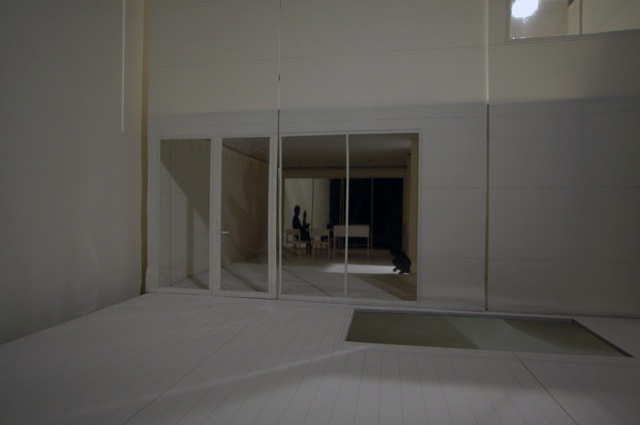 The visitors could fold up the exterior walls of the giant models, and freely see the inner walls and internal spaces. 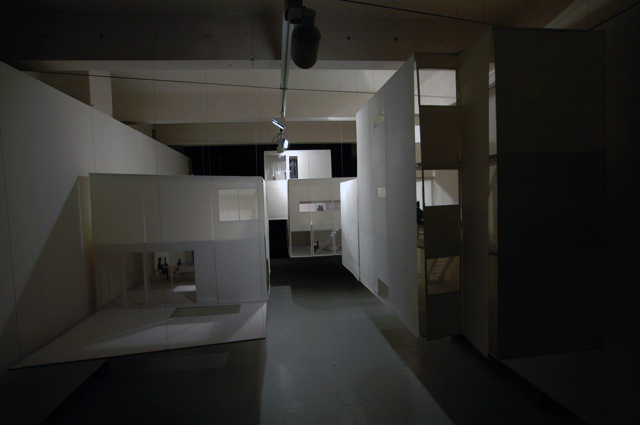 It is an easily portable exhibition kit.